The Virgin Birth of Christ (1907), written by Scottish Presbyterian minister and church historian James Orr , is a classic exposition of the scriptural integrity of the virgin birth of Christ. James Orr is widely known even in our day as the editor of the immensely popular International Standard Bible Encyclopedia. The ISBE is still used by many conservative Bible students as the “go-to” reference for Bible or church history information. Orr was an early defender of biblical integrity during the higher criticism battles of the late 19th and early 20th centuries. He was a contributor to the famous “Fundamentals” articles series that challenged the liberal theological trends of the time. The book, The Virgin Birth of Christ, came out of a series of lectures given in New York to the Bible Teachers' Training School and consists of eight lectures. The original page count was 301 pages. Doctrinal bearings of the Virgin birth: the incarnation: summary and conclusion. Biblesoft helps you not only to read the book and digitally annotate it, but also to link it to other works in your library, search by topic or word, and explore common themes throughout the Bible. 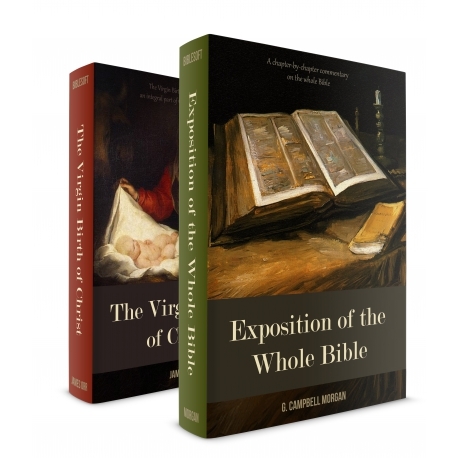 In addition, Biblesoft editors have added unique reference links from The Virgin Birth of Christ add-on to citations in the Early Church Fathers and other works, which are extremely helpful if you have them in your library. (see screenshot #4 for an example).